Current curation rewards are 25%. 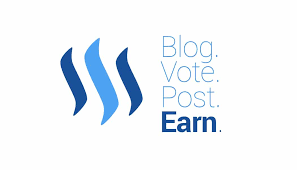 Should Steemit increase curation rewards to 50% to increase participation on the network? Before I answer your question, I will like to share something that happened on Musing because it is extremely similar to the question you asked and I hope it will surely answer your question by making my answer more explicit to you. 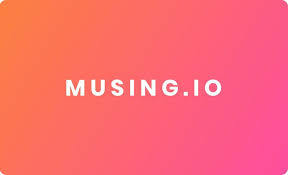 Musing is a decentralized question and answer platform built on steem blockchain where Steemit users can earn steemit tokens or rewards (steem, sbd and SP) just for asking questions and providing quality answers to people questions. Musing has been into existence on the steem blockchain since the early or mid months of 2018 last year which made the platform acquire large number of users due to the great rewards they earn from asking questions and providing quality answers to questions. Everything was actually going fine and smoothly back then till Steemit Inc decided to withdraw their huge delegation 😢. It was a traumatic experience I will never forget including other musing users. The platform was really affected such that we began having lesser number of users on Musing because there was no upvote involved. The lack of upvote never stopped me from doing my work as an expert on musing who tend to give answers to people questions but it really affected the performance and activity of the platform. The number of questions asked per day got reduced such that we almost answered all questions on the platform because there were no new set of questions to be asked by people. The platform really lost huge amount of people because of the lack of incentive or upvote which were not giving to people. I was scared and sad if that's how musing was gonna tumble away from the steem blockchain but I kept hoping for the best so with the believe that Musing will surely be back and it will surely glow more than it used to be during the days we got the delegation from steemit Inc.
Today, we now have more people on Musing after suffering from the loss because musing now upvotes it's users. The activities on the platform now seems to be very impressive unlike when we lost the delegation. We now have constant users on the platform like @niel96, @luueetang, @francistagbo, @rasamuel and many other users who have been utilizing musing. The number of questions asked and answers provided is now increasing daily because of the incentives involved. I am sorry for taking you through that long write up but I want you to realize that most people are actually working for the money or incentive involved. We all want to make more money and this implies that for users to be effective and active, there must be the need for incentive. Incentives tend to motivate users more to be active as this will enable them earn more money since we all love making money 😊. You made me realize that Steemit is currently rewarding users with 25% which I never knew about. If we still have users striving to earn part of this 25% curation rewards, what do you think will happen if the curation rewards get increased to 50%?..I am sure it will increase the activity of the platform and it will also bring in more people into the steem community because we all love to be rewarded beautifully as this helps to motivate people to do more than average. In conclusion, increasing the curation reward to 50% will surely increase the participation of Steemians and it will also add more to the development of the steem blockchain because more people will want to be part of such system where they can get rewarded bountifully. It has been debated upon in past. The people who advocated about 50% curation reward were of the opinion that it will make the curation reward attractive and hence the curators like whales or orcas will love to curate more with their influential steem power. They will be happy to curate more and it will come naturally, so the authors will get more natural upvotes from the whales and thus it will otherwise encourage authors to post more as natural upvotes will rise. But this has been an apprehension by some people in this community and it may not so happen in reality. Further, we can not say whether it will work or not. So what if it does not work, then definitely the author reward looks less attractive and if there will not be more curators even after making the curation reward to 50%, then I think for the same amount of reward, the authors have to double their effort, so this thing could back fire in that scenario. So in my opinion, we should experiment this sort of thing by increasing the curation reward like 35% or 30%, as little increase will not impact much to the author reward and nonetheless the dapps are also debiting benefactor reward which is making the author reward as 65% net on an average in many cases and the authors are also happy with that as well. So in my opinion it is okay to do like that and if we suddenly make the curation as 50% then it could be catastrophic from the author's point of view. Voting shouldn't be called curation. It's a misleading term. Curation means that experts help other people discover good content, preferably by creating a coherent collection for a certain theme or genre. Resteeming is a form of curation, but it isn't rewarded. Voting is expressing your own preference, and extending the arts metaphor, it's comparable to buying a ticket for an exhibition or concert. Upvoting posts you like (including your own) should be enough of a reward. A high reward for voting means that whales who don't post often stay rich, while poor bloggers stay poor, no matter how active they are. It also encourages buying and selling votes, because the voting bots get part of the money back as rewards. Participation in the network is rewarded by rewarding authors and commenters. It would be better if voting would cost money, like supporting content in the real world does. I think this can be implemented in Steemit for now so that it can increase the number of participants who join and work in this steemit. 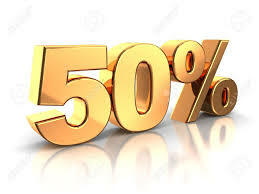 With a prize increase of up to 50%, it can make a lot of help so that every steemit user will receive curations up to 50% of every post they make that can increase their power power quickly without having to buy it but only need to curate each other's posts to get prize curates up to 50%. With the enlargement of this curating prize, we will receive a bigger reward than now if our posts have reached the quota or have been up to 7 days. And the curators of our posts also receive greater rewards which are up to 50%, and if this is really implemented later then the curators who curate each other's posts in Steemit will receive a huge reward every day. Even though currently the price of steem and steem dollars is declining, this has no effect with the allotted curation of each post. However, the enormous impact of the decline in the price of the two coins, namely steem and steem dollar is the reduction in steemit users who write the work on this steemit platform. They say that at this time every work they write every day is not worth the reward they are steaming because of the decline in prices of steem and steem dollars. I don't think that's a good long-term strategy, I think it would be preferable to increase the rewards in Steem power for authors, so people would want to publish more and better content to gain more influence in the blockchain. How can we make the world a better place?What is your dream job?Do people use the search function on steemit?What do you think about the MLM (Multi Level Marketing) companies?How big is the desire of blind people to be able to see?Why is cucumber green?Do you think Siri and Alexa (female AI) for example undermine women due to the fact that we men give orders to them?Anyone heard of Terragraph, a new wireless technology by Facebook?What can someone do to handle a blackmail?What do you think about the Weku platform?